We like short lines and a decisive and personal approach. Van Dooren Transport is a national and international transport and forwarding company. The company has a history which goes back to the year 1895 where the basis of the company lies. Obviously the time at Van Dooren has not stood still and the company is now known as a modern organization that is active in national and international road transport. 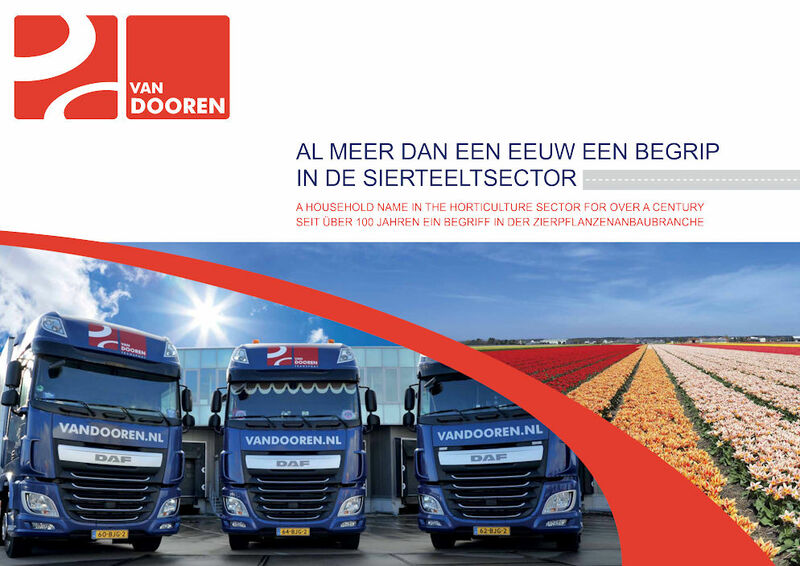 With branches in Hillegom and Breezand and a very modern and all-round fleet of trucks, van Dooren guarantees excellent service and fair and efficient transport of your products. 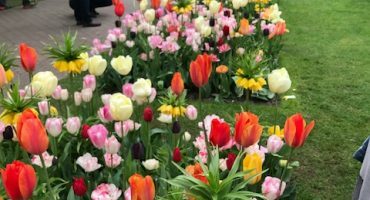 Specializations of the transport company include the transport of: flower bulbs, flowers, plants, trees, packaging materials, agricultural machinery. We also have a wide distribution network with specializations in the Benelux, France, Germany & England. You can rely on Van Dooren Logistics for transit, storage and incoming and outgoing shipment of pallets and containers. We look after the administrative processing, such as drawing up freight documents (AVC, CMR), stock control and export documents. Our transport department can also take care of your incoming and outgoing transports at attractive rates. 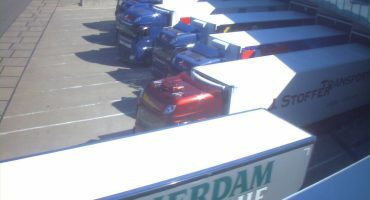 Van Dooren Techniek provides maintenance for the 60 transport units of the company. From tires to cooling motors, bodywork and truck – APK is carried out in-house. This also means that Van Dooren Techniek is a recognized RDW inspection station where inspections may be carried out on own trucks but also on third-party equipment. Since the spring of 2015 our warehouses and offices in Hillegom have been 100% CO2 neutral thanks to the placement of what was at the time the biggest solar energy project in the bulb region. 1,000 solar panels on the roof of the warehouse generate approximately 250 MWh of electricity per year: more than enough for our own use and so compensating for our CO2 emissions. 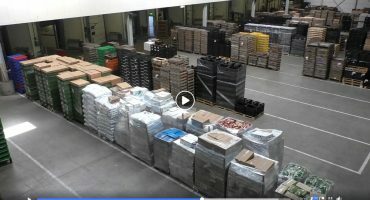 And of course our warehouse customers and renters are more than happy with this, because it gives a competitive edge to any tenders they offer.